The story of our church goes back over 140 years, to Christmastime 1873. Twenty-two Swedish settlers met on December 26 that year at a small farmhouse on rural Wolf Road just outside of Kirkland, “for the purpose of planning a new home where they could hold regular meetings to worship God and enjoy Christian fellowship.” Thus began the life and mission of First Lutheran Church. 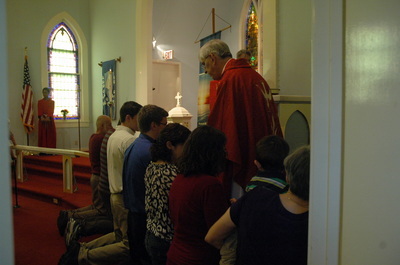 The congregation had no building of its own for the first thirteen years of its life. But in 1886 our church building was constructed. And though there have been renovations over the years (including a major 1984 addition with a wonderful Fellowship Hall and Sunday School space), that original 1886 church building is still the worship home of First Lutheran. Its basement level houses our Clothing Closet ministry, which provides free quality used clothing for those in need; and the Kirkland Food Pantry. 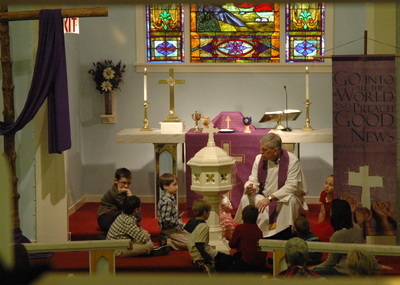 In its very first year, First Lutheran became a member congregation of the Augustana Lutheran Synod, a nationwide Lutheran church body founded by Swedish Lutheran immigrants. This was our church body for many years, until various mergers of Lutheran church bodies took place. 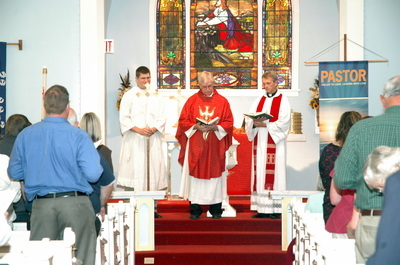 In 2010, First Lutheran joined the newly formed NALC – the North American Lutheran Church. We are so pleased and joyful to belong to a church body that is Christ-Centered, Mission-Driven, Traditionally-Grounded, and Congregationally-Focused; a church body that can be counted on to uphold the truths of Holy Scripture with joyful confidence and faith, even when the world chooses to reject those truths. We enjoy a good relationship with the other traditional Christian church in Kirkland, the First United Methodist Church. We hold an annual joint Thanksgiving Eve service with our Methodist friends, taking turns hosting the event. And all year round, our two congregations jointly support and operate the Kirkland Food Pantry, which is housed in our church building, and serves hundreds of economically challenged residents in the Kirkland area.